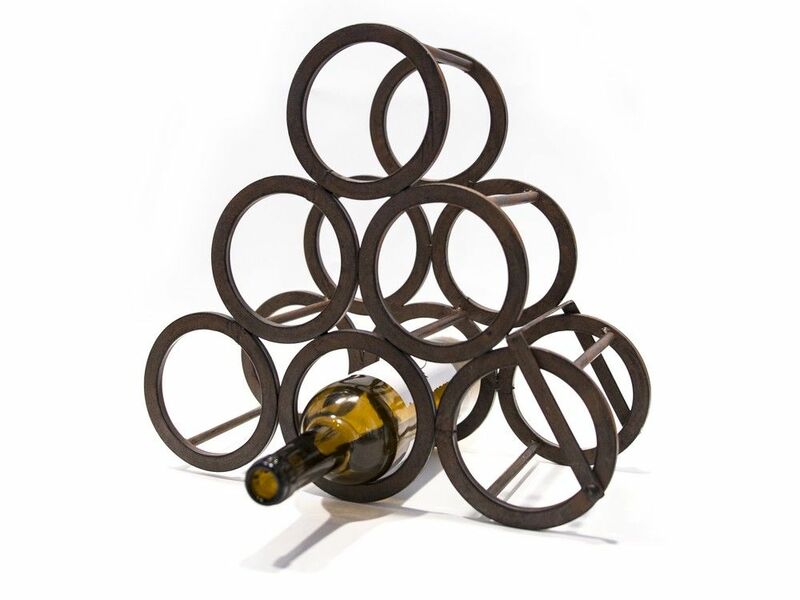 This cast iron wine rack certainly puts the vintage' in your wine collection with its pyramid of aged metal rings. There's room for 6 bottles, with the rings front and back joined by aged metal rods to cradle your collection. The pyramid design is pleasing on the eye and has a rustic style, even when the wine rack isn't fully stocked.